If you’ve heard of weighted blankets, and think they could help with your anxiety or pain condition, read on for our recommendations for the best weighted blankets for adults. A weighted blanket is a blanket that has sand or plastic or glass beads sewn into it to make it heavy. These apply equal pressure over a body when under the blanket. 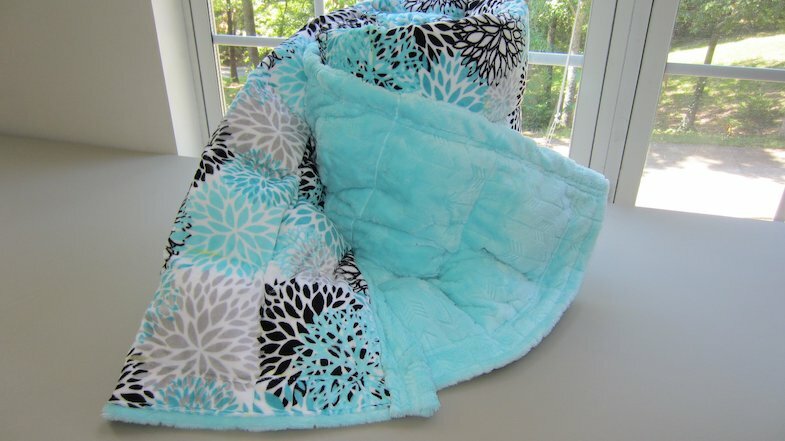 Weighted blankets have been used in clinical settings to treat autism and other sensory disorders. Recently they have become popular for at-home use. While they are not a replacement for traditional treatment, therapy weighted blankets are great non-invasive tools to manage your symptoms at home. Further, they’re a comfortable and easy way to practice self-care. Weighted blankets soothe by what is called deep touch pressure. Deep touch pressure is simply distributed gentle pressure on the body. It is the same reason why swaddling a baby is calming or why we wrap our dogs in ThundershirtsTM when there’s a storm. Studies have found that when deep touch pressure occurs even for a short time, our bodies undergo measurable physiological changes. The use of weighted blankets causes a decrease in activity in the central nervous system. It may also reduce sympathetic arousal. These are the same responses we see through pharmacological interventions achieved with a safe non-invasive blanket. 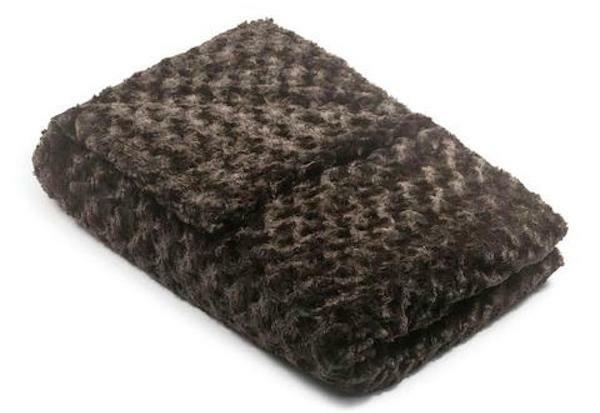 Where to find the best weighted blankets for adults? You can find weighted blankets at most online retailers, such as Amazon and Overstock. They have started popping up online and in stores like Target, Walmart, and Bed Bath and Beyond. We share some of our favorite options below. If you are interested in a customized handmade weighted blanket, Etsy also has a lot of great options for you to find the perfect blanket. Further in this article, you’ll find resources to make your own DIY weighted blankets. Note: PainDoctor.com does not endorse, nor do we make any money off the sale of these products. This information is provided for the benefit of patients based on patient reviews. Always ask your doctor if you have questions. Prices shown are at the date of the post’s publish date, and may differ. 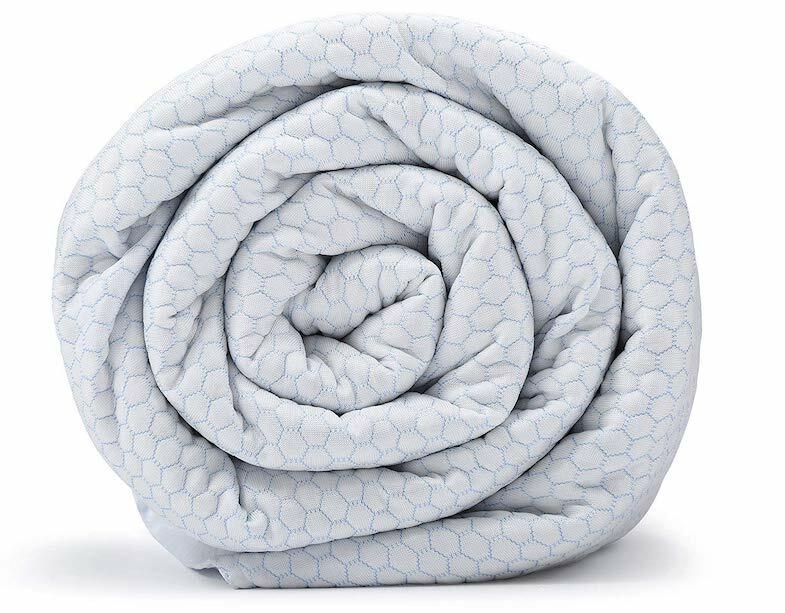 If you’re looking for an inexpensive option to start with, these are some of the best weighted blankets that are under $100. Features: The CuteKing weighted blanket offers a 15 to 25lb weight range and comes in three colors and two sizes. The blanket and cover are made of 100% high-density breathable cotton making it perfect for sleepers who run hot. Features: The ZonLi weighted blanket comes in a wide range of weights, sizes, and colors to choose from. The ZonLi weighted blanket is made from ultra-light breathable cotton so it is perfect for summer months or for users who run hot when they sleep. Small squares for even weight distribution. Machine washable. Features: The YnM weighted blanket offers a variety of weights, sizes, and colors to choose from. They also allow you to pick a cotton, bamboo, or ultra-soft minky fabric. Improved temperature control, even weight distribution, and machine washable. Features: This Etsy shop offers customizable weighted blankets. You can choose the exact weight and size as well as choose from customized fabrics. Blankets are machine washable and hypoallergenic. These weighted blankets provide an all-over hug for the body, below $200. They’d make perfect gifts for people with anxiety or chronic pain or a self-care splurge! 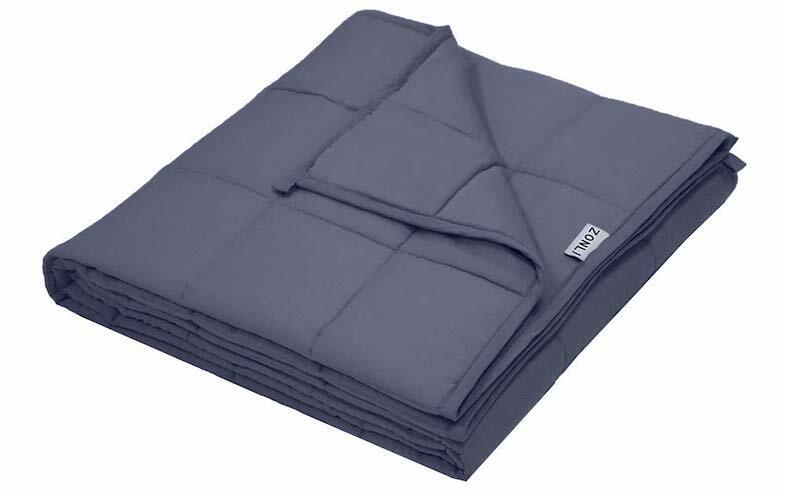 Features: The Quility weighted blanket offers a 5 to 25lb. weight range and four colors to choose from. It comes with a removable, machine washable cover in your choice of either cotton or minky fabric. Features: The BlanQuill blanket has two sizes and six colors to choose from. It has a removable machine washable cover made of ultra soft microfiber fleece. Features: The Magic Blanket is made in the United States and comes in 11 different size-and-weight combinations, and a variety of fabrics including cotton and flannel. Free returns and exchanges so you can find the perfect weight for you. One-piece blanket design with duvet cover securely sewn onto the inner line. No zippers or ties. Machine washable. If you’re ready to splurge on comfort, these are the best weighted blankets to choose from. Features: The Gravity blanket set off a viral Kickstarter campaign that raised over $4 million dollars. They offer three different sizes and colors to choose from. The price is the same for all three weights. Comes with a removable, machine washable cover. The cover is made of super soft micro-fiber. Features: Rocabi specializes in creating weighted blankets for adults. They offer three weights and two sizes to choose from. Removable, washable duvet style cover included. The cover has two sides: a smooth microfiber side and a plush minky side with “textured dots” for additional sensory feedback. Both cover and weighted blanket are both machine washable. 10. Make your own DIY weighted blanket! If you want to get creative and customize your own weighted blanket you can also make you own! The materials are easy to find at your local fabric store or online. Making your own blanket gives you the freedom to use any color or printed fabric you’d like as well as choosing fabrics with different tactile experiences. They’re also fairly simple to make with some basic sewing skills. While weighted blankets are great tools to manage your pain, anxiety, and insomnia at home, they are best used in conjunction with traditional pain management treatment and anxiety therapy. 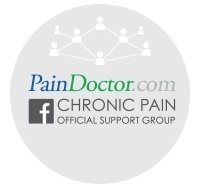 To learn more about your treatment options, you can find a pain specialist in your area by clicking the button below or looking for one in your area by using the tips here: https://paindoctor.com/pain-management-doctors/.